The 2012-13 Turkish Airlines Euroleague season started in thrilling fashion with CSKA Moscow surviving a big scare from Lietuvos Rytas to pull out a dramatic 75-73 at Megasport Arena in the Russian capital on Thursday. Last season's runner-up looked to take control of the game with 15-5 run that opened the second quarter and CSKA held 9-point halftime lead, but Lietuvos Rytas used its defense to get back in the game after the break. 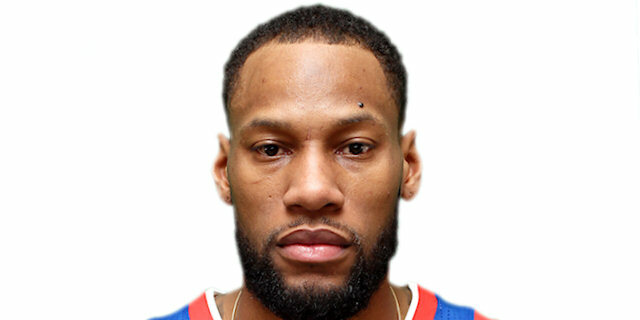 With fourth quarter three-pointers from Nemanja Nedovic, Mindaugas Katelynas and Janis Blums, Rytas took the lead, but Sonny Weems came to CSKA's rescue with 6 points and a blocked shot in the final 69 seconds. Still the visitors had a last-second shot for the upset, but Renaldas Seibutis's buzzer-beating three-pointer was off mark. Weems led all CSKA scorers with 14 points, Viktor Khryapa and Nenad Krstic had 12 apiece and Zoran Erceg finished with 11 on 3-for-5 three-point shooting. 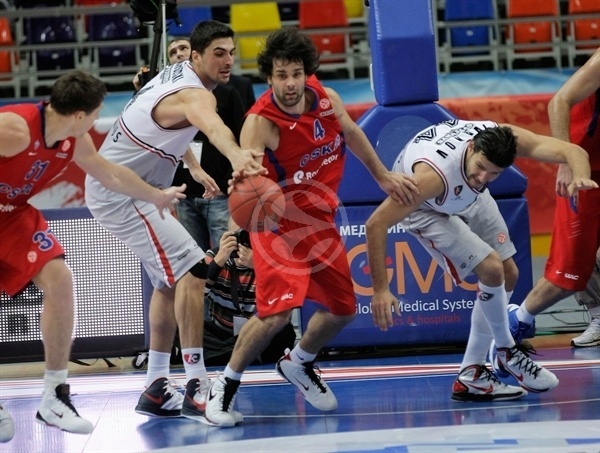 Seibutis was game's leading scorer with 19, Kalytenas added 12, Nedovic 11, and Leon Radosevic had 10 points in defeat. A coast-to-coast layup from Seibutis proved to be the first basket of the new Euroleague season, and another layup by the same player made it 0-4. Weems hit a turnaround jumper to put CSKA on the scoreboard, but Predrag Samardziski answered in the low post to keep Rytas ahead. Free throws and a slam dunk by Krstic tied the game at 6-6, however Seibutis hit a pair of jumpers from mid-range, Radosevic added a tip-in and Katelynas scored from close range to give the visitors an 8-14 advantage after seven minutes. One minute later, Seibutis’s reverse layup put him in double-digits and Rytas up by 8, but Milos Teodosic scored on a drive and a three-pointer and Krstic added couple free throws to cut the deficit to 18-20. In the final seconds of the quarter, Nedovic hit his first triple for Rytas to give the visitors an 18-23 lead, but Vladimir Micov beat the buzzer after his offensive rebound to bring CSKA within 20-23 after first quarter. Lietuvos Rytas made a few defensive stops early in the second quarter, but quickly relinquished its advantage. A Erceg tip-in and free throws by Krstic gave CSKA its first lead of the game, 24-23, before a three-pointer by Erceg capped a quick 7-0 run that got CSKA going. Nedovic answered with a basket-plus-foul and Rytas tried with a 2-3 zone defense, but Micov and Erceg hit back-to-back triples and Micov drove to the basket to put CSKA up 35-28 with four minutes remaining in the half. A Katelynas three-pointer and Samardziski’s dunk cut the deficit to 4 points, however Viktor Khryapa made sure CSKA remained in front. After hitting couple of free throws and a jumper, Khryapa stopped Rytas’s fast break by blocking Steponas Babrauskas’s layup attempt and then on the other side of the floor drove baseline for a two-handed slam that put CSKA up 43-35. Khryapa’s 6-point run was snapped with Dejan Ivanov scoring from close range, but Anton Ponkrashov hit an open three-pointer with 2 seconds to go, giving CSKA biggest lead of the half, 46-37 at the break. Just as in the first half, Seibutis opened the scoring in the second, this time with a triple. Weems answered in the low post, but both offenses went cold with teams missing 8 of 10 field goal attempts and combining for 5 turnovers in less than four minutes of third quarter. The visitors got the best of it as Radosevic and Ivanov hustled inside for close range buckets and Babrauskas hit twice from the charity stripe to make it 48-46 midway through the quarter. Aaron Jackson made a layup to stop CSKA’s slump, however Janis Blums and Seibutis kept the visitors within one possession and Katelynas’s baseline jumper eventually tied the game at 52-52. 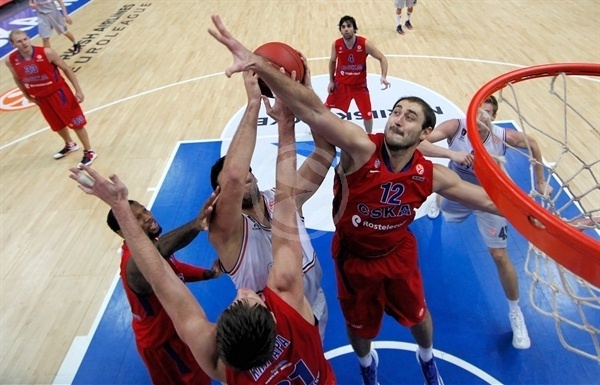 Krstic dunked to finish the scoring in the third quarter and give CSKA a 54-52 advantage entering the final 10 minutes. The visitors indicated early in the fourth quarter they would refuse to go away. Ponkrashov hit a jumper to give CSKA a small cushion, but triples by Katelynas and Nedovic cut that lead to 1. After Weems scored on a break, Blums hit the third three-pointer for Rytas in the quarter to tie the game and Arturas Jomantas’s fastbreak layup on the next possession gave Lietuvos Rytas a 61-63 lead with five minutes to go. After a timeout by CSKA head coach Ettore Messina, Khryapa scored inside, Micov brought the lead back to the hosts and Khryapa made it 67-64. However, the visitors’ defense was up to the task once again in this game, holding CSKA without a basket for the next two minutes. 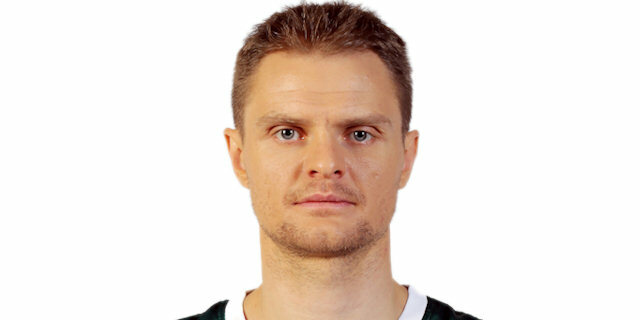 And when Seibutis hit another jump shot and Radosevic made 4 free throws, Rytas took a 67-71 lead with 1:16 remaining. Weems quickly answered with basket-plus-foul, and followed it up with a jump shot from five meters to give CSKA a 72-71 advantage. Weems then blocked an attempted jumper by Seibutis and Teodosic made both free throws with 19 seconds remaining to extend the lead to 74-71. After Nedovic hit both free throws at the other end and Weems only 1 of 2, the ball went into Nedovic’s hands once again. 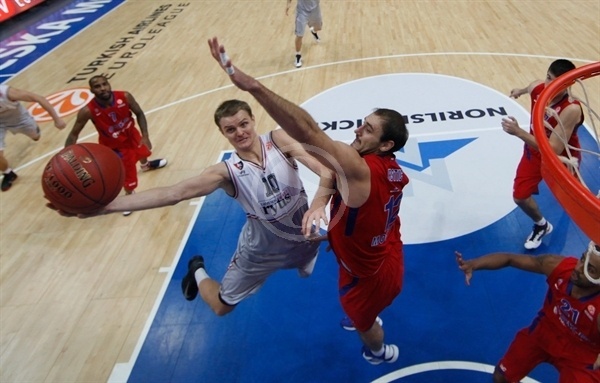 The young point guard drove to the basket, but Ponkrashov blocked his layup attempt. 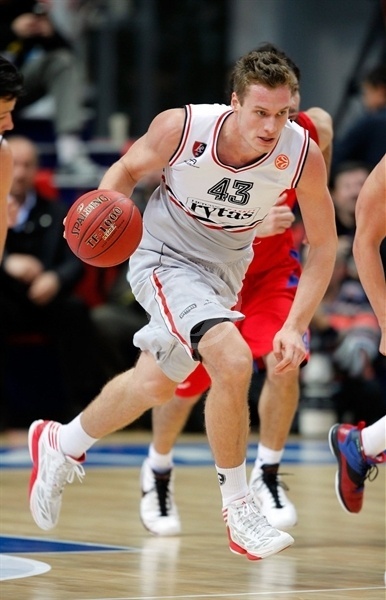 Krstic secured the rebound, but with 4 seconds remaining missed both free throws. Rytas quickly moved the ball up the court, but Seibutis missed a three-pointer at buzzer that would have given the visitors a huge win. "Obviously it was a very difficult game. We can say that the opponents were close to the win due to their team effort and we won the game because of key individual performance. If you look at the stats, you can see that we had five players score 10 points and more and one other player who scored 9. Usually that says something about a good team game. We had a better shooting percentage than our opponents. Usually that says something about good quality of the game. But turnovers killed us in the beginnings of the first and second halves. 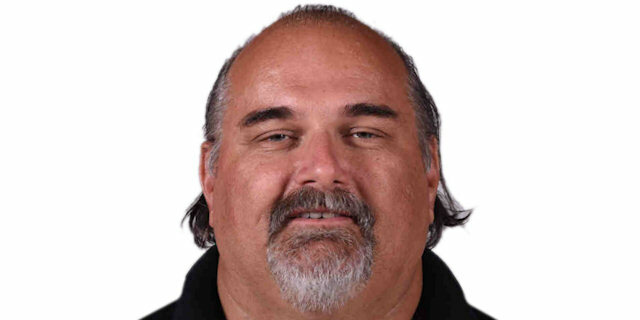 And we played undisciplined at the end of third and start of the fourth quarters. We all know that the teams that are successful at the end of the season don’t allow so many turnovers and don’t allow the opponents so many chances on defense. We have to work to become this kind of a team. Still I can say that we played very good from the fifth to 15th minutes of the first half and we played better defense and were disciplined on offense in the end when we put the ball in Sonny Weems’s hands. I would like also to thank the club and the fans for the great atmosphere they created during the ceremony to greet our great former players Matjaz Smodis and Ramunas Siskauskas." "I think it was a very good game for this stage of the season. We were pretty close tonight. We were one or two possessions away from winning the game. I am proud for my players who fought against the favorite." "I don’t feel like a hero. The others worked no less than myself. The game was difficult because we allowed too much to the opponent in the very beginning. We did not play our best game and we could have lost. We won this time. Now we have to work hard on our mistakes." 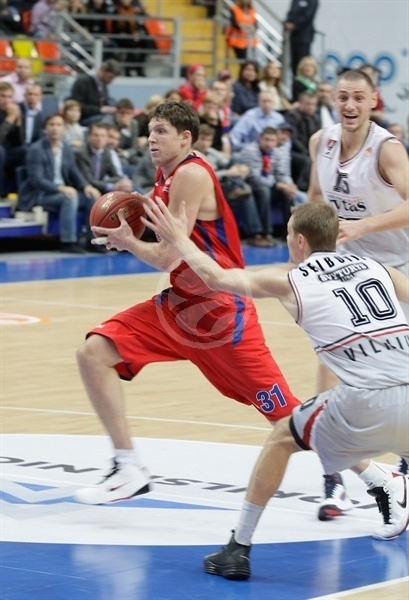 "We all knew that CSKA is a team of the highest level, but we came here to play. We started well and felt confident. The coach told us before the game that it is important to keep the same rhythm throughout 40 minutes. I think we were able to do that. It’s a pity I missed in the end. But now everyone knows that we can play and to take us into account."